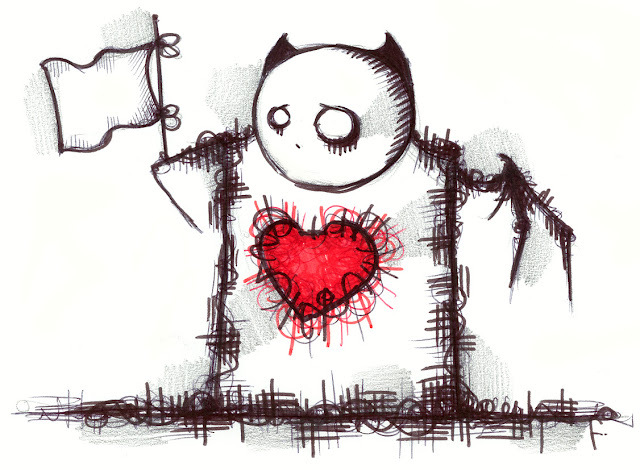 Today I give in and wave a white flag... a white flag to the feelings of sadness inside of me. Today I will curl up with hot chocolate, have a good cry, and belt out as many sad songs as my voice will allow with more sorrow, passion, and sincerity than any broken hearted teenage girl out there. Today I acknowledge this heavy heart I feel and not try to fix it, but rather indulge in it. Today I will let it all out and then tomorrow I will move on... tomorrow will be a better day.